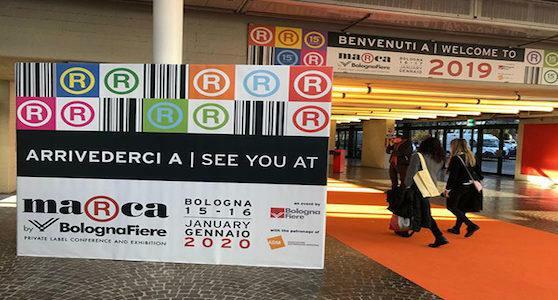 The MarcabyBolognaFiere trade fair, which deals with Distributor Brand products, ended positively, with great satisfaction from the organizers. The number of professional operators who visited the fair exceeded 10,100 units, registering an increase of 6% compared to the previous edition, and the presence of foreign operators was equal to 17% of total attendance. The B2B meetings involved buyers from 14 countries, including the United States, Belgium, Great Britain, Germany, France, Sweden, Holland, Indonesia and Ethiopia. The eco-friendly packaging was the fulcrum of the whole event, with particular attention also to the proposals that participated, as nominations, to the ADI Packaging Design Award. Here the most innovative packaging solutions have been awarded, characterized by the materials with which the casing is made, by the production process with which it was made, by the aesthetic aspect and by the practicality and functionality of use. Four are the winners and a special mention has been issued. Among the winners of ADI Packaging Design Award is the Molino Rossetto Company, which has created an easy-to-close flour packaging that allows excellent preservation of the product for re-use after opening. It is a 100% recyclable cardboard packaging. Industrie Rolli Alimentari has created a communication project that summarizes the entire activity of an eco-sustainable supply chain in the graphic image of the product packaging. The company Polycart has presented an innovative product, made from renewable sources at 50%, compostable, for the storage of liquid foods, able to reduce the consumption of food trays and disposal. Wave Washing has proposed a packaging for tablets for effective cleansing, with reduced dimensions, with a significant research and communication work. Inalpi received the award for "Fettaalpine", a product packaged in an "open and close" packaging, for a perfect preservation of the slices of cheese, with a communicative image that tells the philosophy and the company values ​​together with the story of a chain from the ancient traditions. The 15th edition of MarcabyBolognaFiere closes positively, with new challenges for the players in this sector, among which, increasing even more the eco-compatible packaging, transforming production processes to make them more and more ecological, using raw materials always more natural, to develop a higher quality of products and packaging, to face ever more international markets. Azienda in Fiera is a portal that brings together more than 2,000 companies, active in many different areas, who exhibit their products and services in the most important trade fairs of their sectors in Bologna, Rimini, and Milan, and also in Rome, Parma, Padua, and Verona.